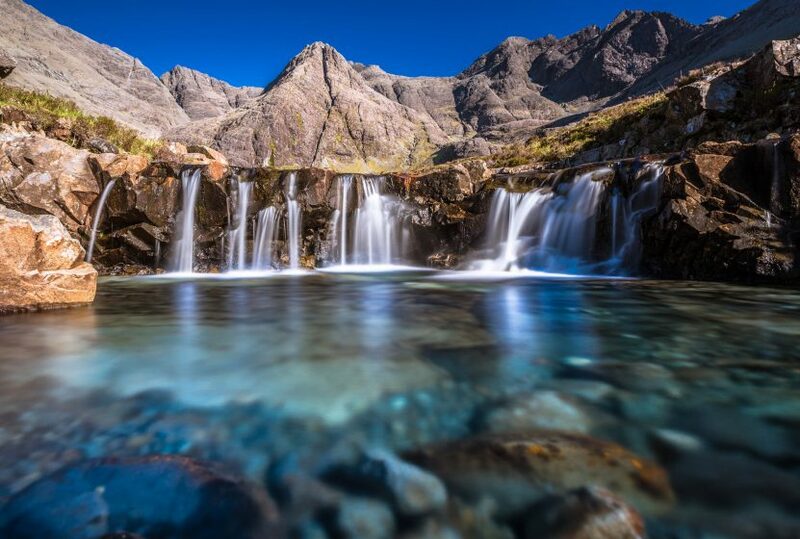 With its glacial glens, mysterious lochs and dramatic coastlines, bonnie Scotland has rightfully served as the ideal location for many of our favorite dramas, thrillers and cliffhangers. While James Bond and Harry Potter have introduced us to this historic land, it’s the magnificent moors, mountains, woodlands and waterfalls that have stolen the scenes. Discover some of the most famous settings in film history, then bring them to life on Scotland vacation! 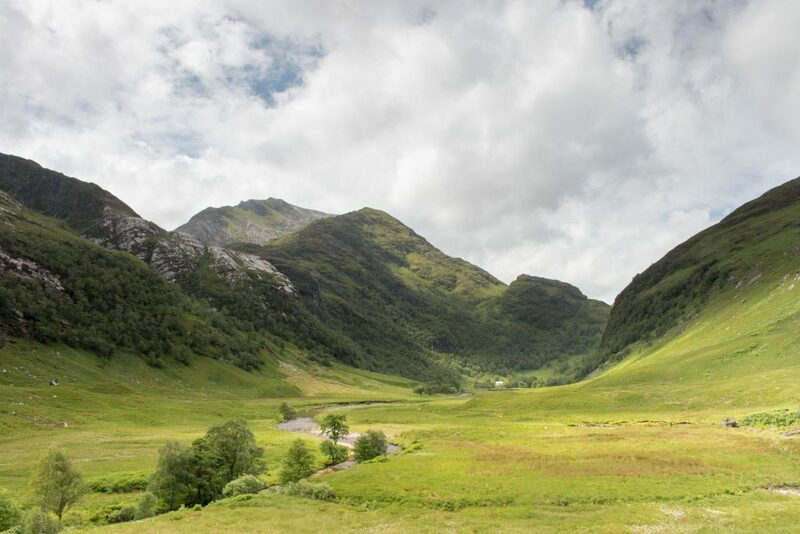 Explore the fifty misty miles of jagged hills and towering cliffs that set the perfect stage for the movie adaptation of Shakespeare’s Macbeth. 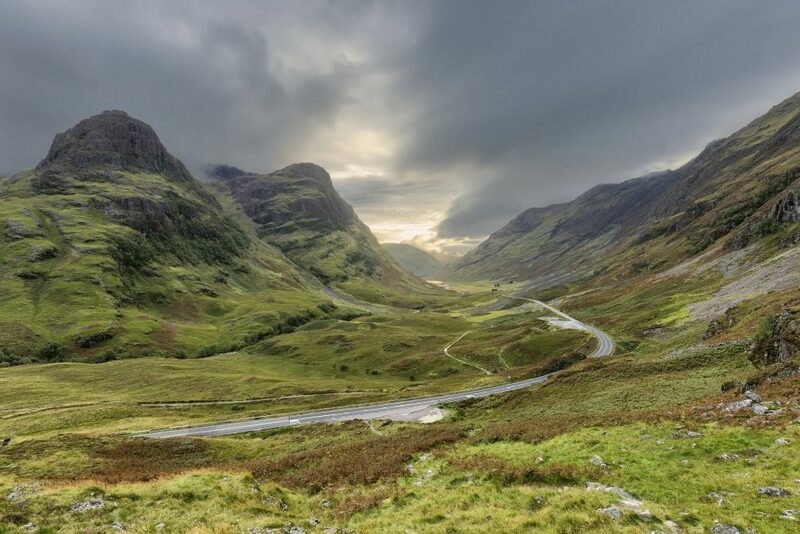 The beauty of Scotland has been featured in four James Bond movies, including Skyfall where Glen Coe was the site of 007’s childhood home. 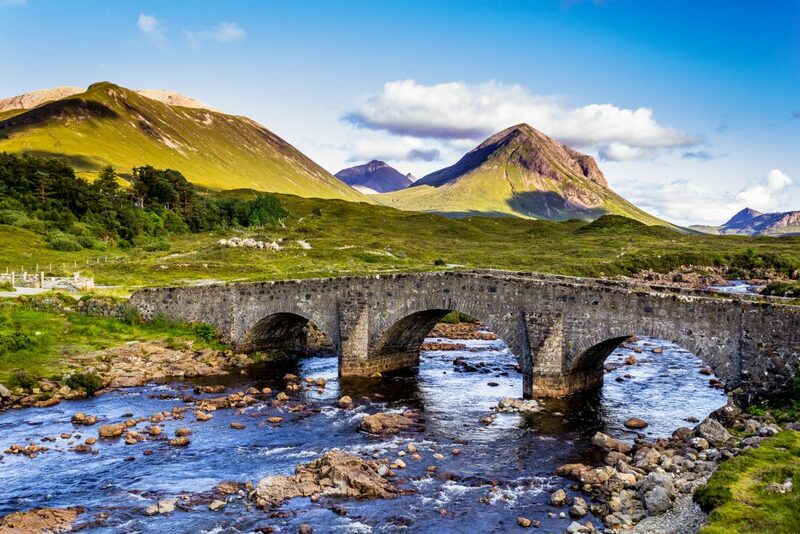 In the shadow of Britain’s highest mountain, absorb the stunning beauty of the valley where many scenes of Braveheart were filmed. 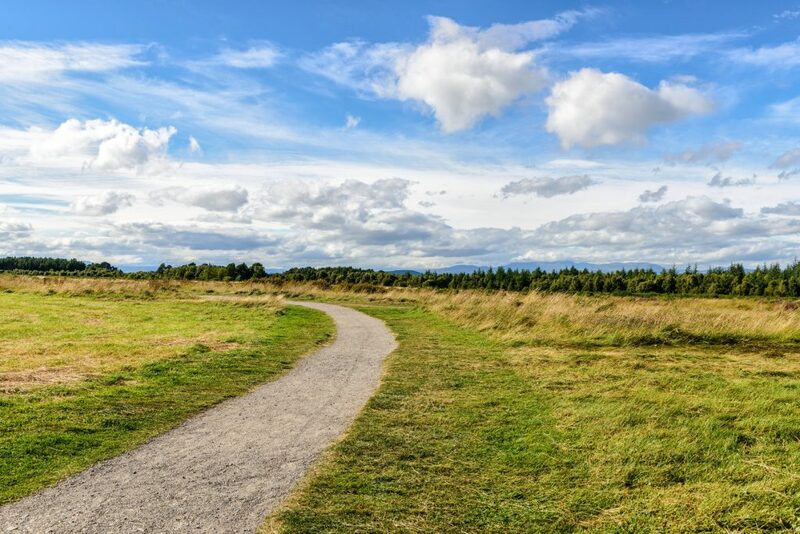 The rolling green hills of the famous battle site were used as the backdrop for the fictitious reenactment of the Battle of Culloden that took place early in the Outlander series. 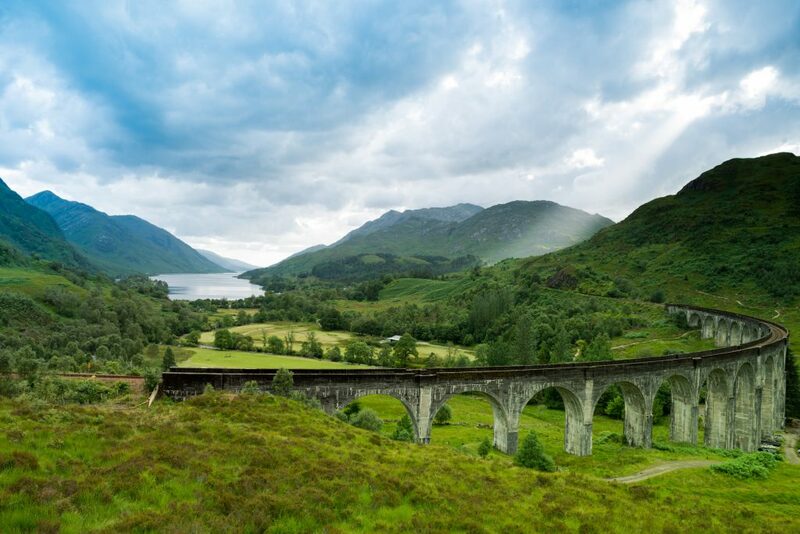 All aboard to witness the spectacular scenery of this highland village and its famous viaduct that carried the Hogwarts Express in the Harry Potter films.